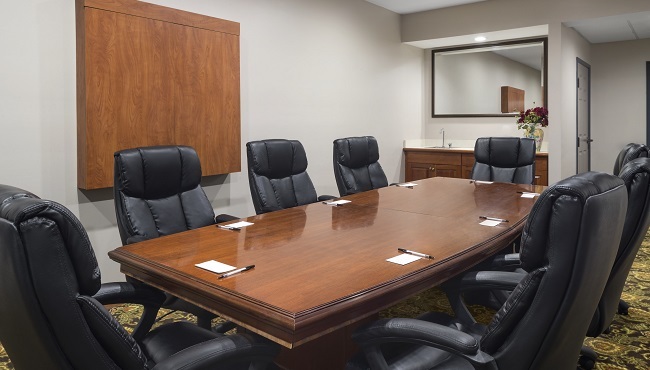 With free high-speed Internet access, an assortment of audiovisual tools and a dedicated staff to assist with planning, the Country Inn & Suites, Louisville South provides everything you need to host a successful business meeting or social gathering. If you have attendees from out of town, use our meeting space and distinguish your event by providing directions and details on a Web page customized for your get-together. When all the work is over, treat your guests with a visit to some of the top area attractions around Shepherdsville, KY like the Louisville Slugger Museum and Churchill Downs. The Country Inn & Suites, Louisville South sits adjacent to the Paroquet Springs Conference Centre. This full-service facility offers meeting space and catering for up to 1,500 guests.